Domestic and imported wines in cans continue fueling one of the hottest growth trends. At Viscount Wine & Liquors in Wappingers Falls, New York, Underwood Pinot Noir (Underwood canned wine lineup above) is the No-3. canned wine in the store. 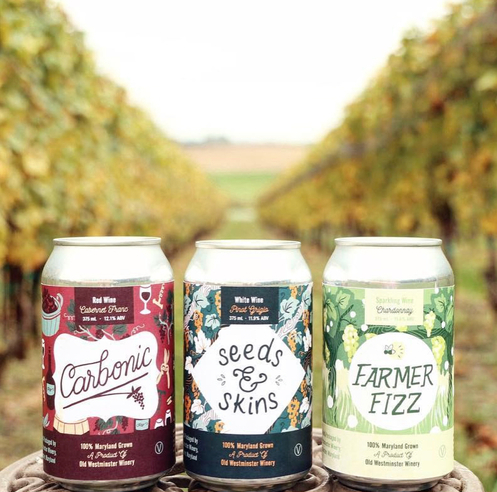 Viscount currently offers 22 SKUs of 11 canned wine brands. All are trending at double-digit growth rates. The store recently created a new retail display featuring canned wines. Gallo’s Refresh ($8 a 4-pack of 8.4-ounce cans) is Viscount’s No. 1 segment seller. Château Maris, an organic Languedoc Pinot Noir ($15 a 4-pack of 250-ml. cans) and rosé ($18 a 4-pack), is No. 2. Oregon’s Underwood Pinot Noir ($7 a 375-ml. can) is No. 3. Dave Shierling, wine department manager at Wilbur’s Total Beverage Wine & Spirits in Fort Collins, Colorado, believes canned wines (Old Westminster Winery in New Windsor, Maryland canned wine above) are here to stay. License and control states are seeing segment growth. In Pennsylvania, the largest wine sales control state, canned wine sales increased 90.3% on units and 56.8% on dollar sales in the first half of 2018 compared to the first six months of 2017, according to the Pennsylvania Liquor Control Board (PLCB). “Customers understand alternatively packaged wines can taste good and be of good quality,” says PLCB press secretary Shawn Kelly. The PLCB is tailoring its Fine Wine & Good Spirits stores with shelf sections dedicated to small-sized items like wines in cans. “Keeping these products together seems like a natural fit, and our customers have no trouble finding them on our shelves,” Kelly notes. 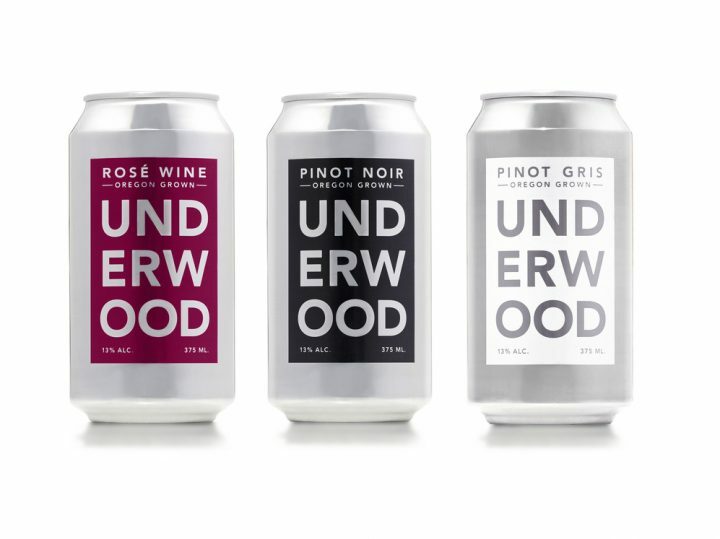 Among different wine packaging, the can has the highest growth rate. For the 52 weeks ended September 30, 2017, retail sales of canned wine soared 59.5% from a small base (approaching 1% category share) compared to 3.3% growth for wine in 750-ml. bottles (72.5% category share), according to The Nielsen Company. Tetra pack wine (up 19.2%/1% share) and premium boxed wine (up 15.6%/3.1% share) also posted double-digit growth, while 187-ml. glass wine offerings (1.1% share) inched up 3.6%, and the 1.5-liter bottle (15.4% share) decreased (-1.2%) retail volume, according to Nielsen.